You are here: Home › Picking up a live owl › Rescued owl care: Should I get help? Should you care for a rescued owl yourself, or pass it on to an owl rehabilitator or vet? • It has multiple injuries or extensive soft tissue damage. • Any part of it is infested with maggots and/or foul-smelling. • A leg or wing bone is broken or dislocated. • One wing or leg does not appear to be broken but is limp, unresponsive or at a strange angle. • It has an eye injury. • It has blood in its beak or ear(s). • It is obviously very ill (although please note that healthy owls are often subdued while in a box and can play dead while being handled). • It needs veterinary investigation (such as an x-ray). • You are unable to check the owl over for injuries. Watch the video guidance on checking an owl for injuries. • It needs veterinary attention but you cannot find a bird-experienced vet. • It appears to have a broken limb but none of the long bones are broken. • One foot is, or both feet are, constantly clenched. • It is clearly underweight and/or needs tube feeding. • It seems to only have a minor problem but you cannot offer it the best care. • Having checked the owl over for injuries, you are confident that you can provide all the care the bird needs and you are certain that it would not benefit from better treatment, better care facilities or better release facilities. 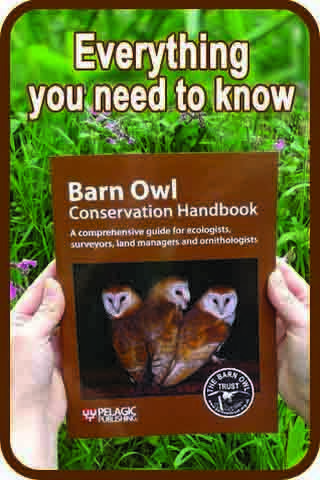 • It is a healthy nestling Barn Owl or nestling Tawny Owl and you will be returning it to the nest* before dusk, following the instructions contained in the relevant pages what to do if you find a young Barn Owl or what to do if you find a young Tawny Owl. 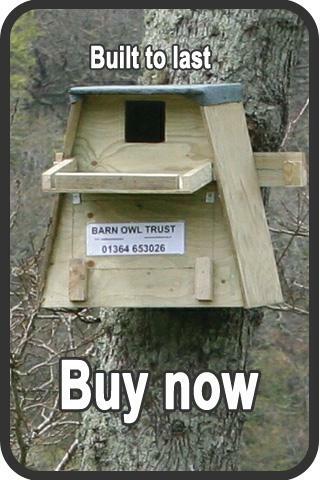 • It is a healthy nestling Barn Owl or nestling Tawny Owl that is only slightly underweight, you can feed it and house it for up to 2 weeks and will return it to the nest* following the instructions contained in the relevant pages what to do if you find a young Barn Owl or what to do if you find a young Tawny Owl. • It is a fit adult that is/was only slightly dazed or concussed and you will be releasing it at or very close to the place where it was found just after dusk within 3 days. 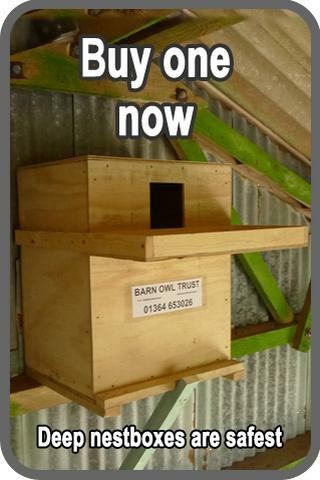 *Note that nestling/fledgling Barn Owls must always be put back in the actual nest, but fledgling Tawny Owls only need to be placed near the nest or in an elevated position very close to where they were found. Read about how to find a good rehabilitator. Find out about short-term owl care.